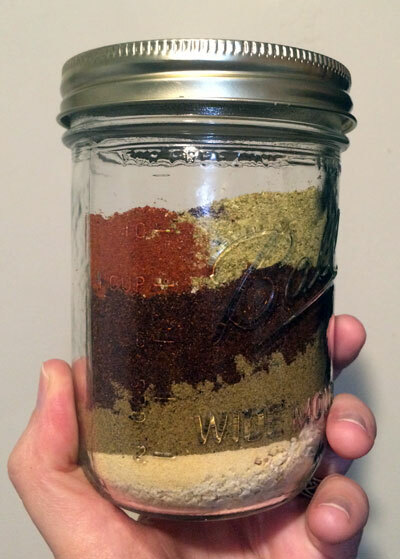 Homemade seasoning mixes make nice gifts, too. If you’re still buying individual packets of prefabbed seasoning mix for chili, tacos and dip, stop it immediately. You’re putting a lot of unnecessary trash into the landfill and a lot of unnecessary sodium into your body. 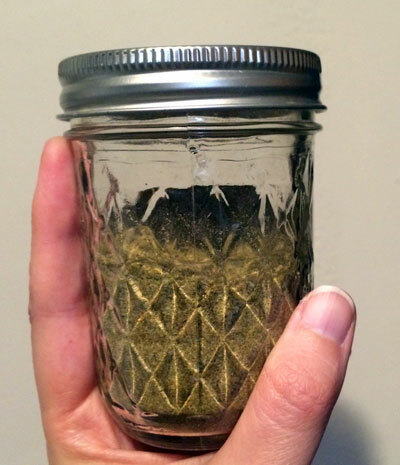 Grab your blender blades and a couple of Mason jars and get ready to raid the spice cabinet, because I’ve got two quick, easy recipes that will save a few dollars and a few packets. Bonus: They’re completely vegan. Details below the fold. Leave space at the top to shake it up. This works equally well in chili or tacos. Use 2-3 tablespoons to season a batch of chili or 1 tablespoon to season a pound of taco meat. 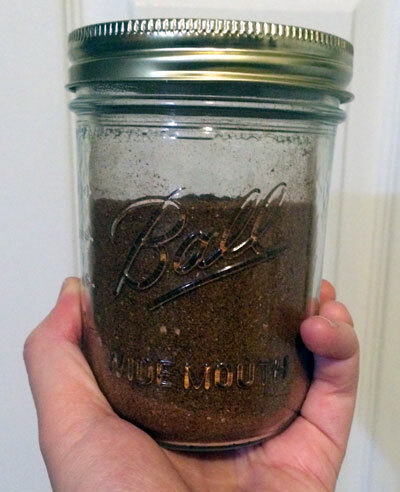 Homemade taco seasoning is exponentially better than the storebought kind. Adjust the salt up or down to suit your tastes. Eat your heart out, Hidden Valley. Place all ingredients in a half-pint jelly jar. 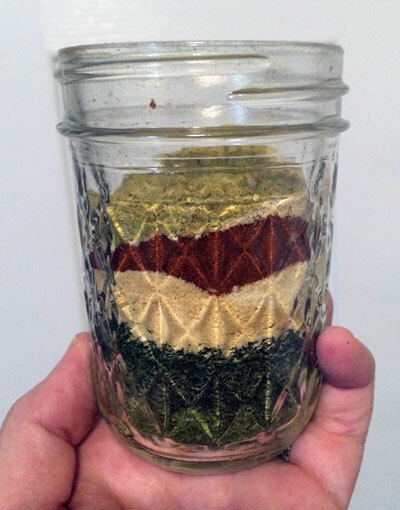 Screw blender blades onto jar and grind everything to a powder. Shake the jar to make sure everything is mixed thoroughly. 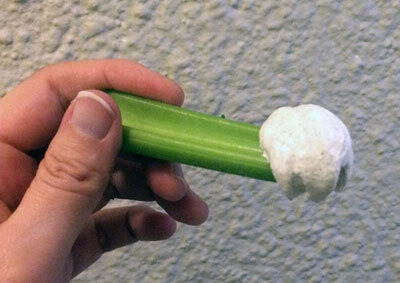 You know God just invented celery because He was sick of getting the side-eye for eating dip with a spoon. Use two tablespoons of ranch mix per pint of sour cream or yogurt. *Ground green chile is hard to find outside New Mexico, but you can make it yourself by drying fresh chiles and grinding them up in the food processor. Just be sure to wear a dust mask so you don’t mace yourself with pulverized pepper. Previous PostVegan Friday: Gorgeous little tacosNext PostPoop.